Us’s Only . . . Recently I have been embroiled in a controversy not of my own making. A denominational leader called me out for bringing in guest preachers for our Good Friday Service. 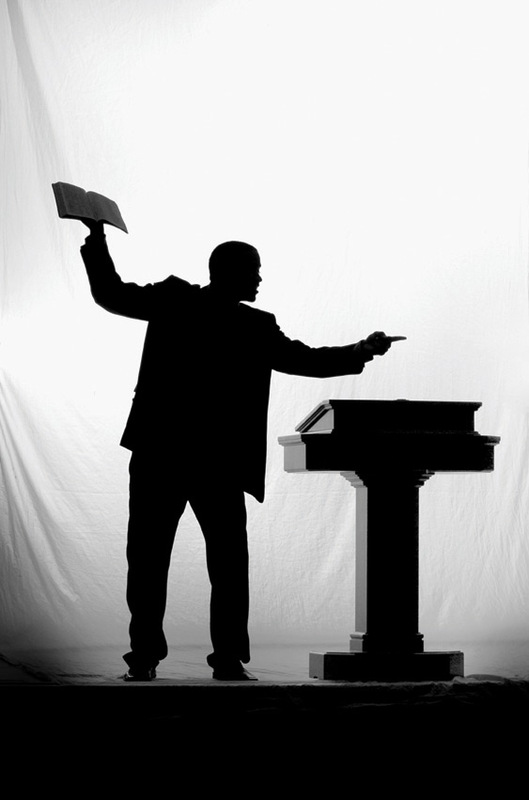 I was basically told that I was wrong for bringing in non-baptist preachers and fellowshipping with non-baptists, and that I should have “stuck with the script” and used Kentucky baptist preachers only. I was raised in ministry by Dr. A. Bernard Devers, who is now in Heaven, and he trained us, taught us, and primarily he taught us of the autonomy that we have in the Baptist Church. His father in the ministry (who I claim as my grandfather in the ministry), the late Dr. C.E. Williams, was chairman of the Ministers Conference for the General Baptist Convention of the Northwest and he regularly hammered into our head “Conventions don’t make churches; Churches make conventions.” In other words, what I heard in 2013 greatly differs from what I was taught in 1978. I invite in who the Holy Spirit tells me to – PERIOD. I have always enjoyed fellowship with other Christian Denominations. I admire the A.M.E.’s for their dedication to Christian Education. I admire the COGICs for their tenacity of praise and worship. I admire the United Methodists for their reverence of worship. And yes, I am baptist born, baptist bred, and when I did baptist dead – BUT, I was a believer before I became a Baptist. I am Baptist by choice. However, I am not confined to the baptist way of doing things and frankly, there are some flaws in our baptist polity that some of us have chosen to ignore rather than enforce. There is no “baptist way” of worship. Matter of fact, there is no printed order of worship throughout the Bible. The early church didn’t have an order of worship with “Baptist” written across it. Stunningly, someone sent me an email and suggested that the Baptist Church was what Jesus instituted when He called the twelve. If that’s the case, there’s a Judas in every camp. There’s nothing wrong with being proud to be Baptist – but there’s some wrong when that pride turns to exclusivity. It’s akin to going to Waffle House every morning for breakfast and passing by 100 other restaurants and saying, “Waffle House” is the only folk that makes real breakfast. It’s a narrow interpretation of scriptures that do not exist. Some good has come of this. On Facebook, I started a “KENTUCKY PASTORS AND PREACHERS & FRIENDS” page that has caught fire – over 100 pastors and preachers, tired of the non-biblical tradition of separatism, have latched on. I’m not using that platform to start a convention nor association (that’s what they call what most of the country calls state conventions here). However, I am interested in fellowship with those who I will eventually re-unite again with in heaven. Yes pastor that was very well said and l think that statement also goes for other denominations too but yes my brother very well said. Keep the good work up you are a good example and great expositor. Thank you for your contribution to society. The church is in the Kingdon, but the Kingdom is not the church. Fellowshiping exclusively with Baptists is a Landmark Baptist position & practice. Landmark Baptists believe only Baptist are saved, therefore it would be sinful to fellowship with anyone else. You represent a Kingdom/biblical view & practice. Again, the Kentucky Baptist Associaton represent a Landmark Bapitist position & practice. About 15 or so years ago, I had the privilege of preaching to the Kentucky Baptist Association. I was shocked to see the ladies systematically sit in the back of the church behind the men. Furthermore, I was told that they would disfellowship a Pastor & Chirch who allowed a woman to preach. Is that true? If so, why haven’t they disfellowshipped you? We believe that God gifts & call women to preach. We believe gifts are not given according to gender, but the office of the Senior Pastor is. Therefore, if the Senior Pastor recognizes & affirm the gift & calling of a woman, then she preaches under his authority or covering. Just as Paul permitted women to prophesy/preach in I Corinthians 11. Would the KBA accept me & my congregation as a church in good standing with our view if we were located there? It’s good hearing from you! I had been worried about you – hadn’t seen your writings in a long, long time. I hope all is well and thanks for the insight. Also, FYI – my church is not affiliated with the Kentucky Baptist Association – we are members of the Progressive National Baptist Convention, Inc.
Baptist born, literally. I was born in my Baptist church in 1961. Sadly to say as a Minister most of my closest friends in the ministry are of other denominations. My father in the ministry is with the Lord, and I have since been closer to my COGIC, and A.M.E. brothers in Christ. I also have the opportunity to be very close to an older brother in the ministry who roomed with Rev. Dr. Martin Luther King when they where at Crozer Seminary. He is a Bapt. preacher who has served in all pulpits. I say all of this to say, these ministers must realize there won’t be any baptist, UME, CME, AME, or any other section in heaven. When Christ was saying the 7 last words, there wasn’t an established denomination, only Christ Himself. We Bapt. preachers need to stop this. We are all God’s children. Great post pastor.